You know those nights when you are sitting at home feeling too lazy to cook, thinking of maybe going out to eat but you have no clues regarding where because you’re tired of those two single places you always go to? Or when there’s this new pub open three blocks away but you’re not sure if it has the right vibe or the prices that would deem it interesting for yourself? Well now, in situations like these you clearly need HELP!…and that’s where Yelp! comes in. 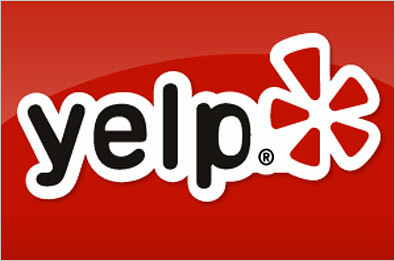 Yelp.com was founded in 2004 with the sole purpose: “To connect people with great local businesses”. Today, it is one of the biggest city facilities review websites you can find with over 132 million monthly unique visitors in the first quarter of 2014. That number might seem exaggerated but it seems natural when you consider that Yelpers have written 57 million local reviews… On Yelp.com you can find reviews relating to businesses in the area of restaurants, pubs, shopping, home services, medical and healthcare and many more. So, as the platform is so successful, it is obvious that there are many advantages for both businesses and users to take part in the ‘yelp phenomenon’. First, how do businesses benefit from Yelp? Well, the website basically provides word of mouth advertising for the digital word. A study by the Boston Consulting Group revealed that businesses that take advantage of Yelp exhibit an 8 000 $ increase in annual revenue. In the case of businesses that pay to advertise on Yelp, the sum is more impressive, reaching an increase of 23 000 $ in average annual revenue. Moreover, 90% of Yelp users say that positive reviews influence their buying choices, so participating on Yelp can be very rewarding for businesses, provided that they accumulate positive feedback. On the other side, users are the most important part of Yelp because without them, the platform would not exist. And, most of all, they have to come in large numbers to make a difference. So, what’s in it for them? Yelp’s review system is an illustrative one in which reviewers can write extensively about their customer experience and attribute from 1 to 5 stars. Then, each message can be voted by the crowd as “useful”, “funny” or “cool”, thus getting all types of users (both passive and active) involved in the process. Reviewers’ motivations are mainly in the form of love and glory, where love refers to the desire to ‘yelp’ (i.e. help) their peers and to share their experiences for others’ wellbeing, whereas glory can be achieved by getting in the Yelp Elite Squad as “you’ll join the ranks of some of the most influential tastemakers on the site and in your city”  and can take part in exclusive parties and events (free of charge). It is important to not forget another important aspect of Yelp, the community where passive users and reviewers alike can very easily communicate, share thoughts and participate in specific get-togethers. Moreover, Yelp community members can nominate specific individuals for being taken into consideration for the prestigious Yelp Elite Squad, but ultimately the decision of being accepted rests in the hands of the National Elite Squad Council (the Yelp Squad members in your country).